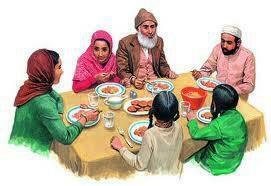 Family system is a basic entity and building block of a society and a nation. If we have to build a nation we have to build our family system and strengthen our roots and take good care of family system. This is the beauty of Family System that we can see in east and west. Beautiful and pure relations are blessing of God. And many other relatives and a hierarchy and tree on right and left and up and down. Everyone from top to bottom connected. and very strongly rooted. Every aspect is full of memories as well every entity have its own responsibilities. This family System is home of norm and values and ethics that enrich a new comer in this society or a single family enrich with all ingredients required to shape up his/her character and make it look a healthy and vibrant and ethical and social member of society. as well the education the very basic ingredients of this Family Systems. Like every system This Systems has input from all members and reflects to all members as combine as well collective output. As well educational point of view there is a physical as well spiritual and a cultural touch to each member. And these all ingredient together make a single entity a glowing star and a bench mark of branches of science and culture or civilization. This family system is a representation of the each member and a furnace that mold and farm that cultivate new generation as per the custom and culture of the Family System. A good Family System Build a nation and a nation can be destroyed by destroying the family system. The only fact i seen in decline of Civilizations or Nations is decline of their family system in different time with different ways. As per my understanding its a very basic building block of a society and culture and rest norms and ethics and morals raised under this basic block. In different part of world we see a different set of Family Systems. In East A father is the head and mother is the co head of the state :) and there role may be swap and as per my understanding i seen the women of east more powerful than any women or family system. Islam as a religion give an equal rights to women as to men. And being the head or co head both have equal responsibilities either a mother or father. Going down to hierarchy to Sister/Brothers or Daughters/Sons. There are no words to define the beauty of these relationships as they crossest of times and very pure in terms and matters. and in terms of understanding a sisters or a brother understand each-other very well. Like they care each other during the life tenure. Best Friends i can say and best friend those help each other in all even and odds of times. and help irrespective of the state of life and depth or measure of the trouble. Similarly in Above hierarchy A Mother. A mother is the most beautiful and tender and home of compassion from God to the human kind as well in animals and plants and all creatures. Purest form of Love in all sort of relationship is mother's love and God given importance to mother in this system of family and cycle of a family system. Mother is home of love and purity and emotions and deeply attached with kids and to her as well to father all their lives even kids are also old but to them they will always be kids. To the world a kids could be anything but to a mother he/she will be always a sign of love and affection and devotion and her attachment will be so pure. like the Purest things present in forms or existence thats Mother love. One More aspect Prophet Muhammad PBUH said thrice with importance to take care and look after about Mother, Mother and Mother. Mother love is a topic you can write all life and aspects but there is no end of its purity in nature. Under the Umbrella every relation with any entity define different but very beautiful and superb relations in definitions as well in ways of making this system a perfect system. Every member under the Family system is equally responsible to care each other with ways possible as well towards helping and resolving issues. To make a perfect nation all you need a mother. A mother is pivotal or subtle pillar or unit of a family system and hence forth a nation. Every being have a mother and every being have a responsibility to return the blessing of mother by his/her good manner and behavior to her. She will never ask you to bring stars or miracles all she wants your betterment and prosperity for this life as well after life. I wish and pray to everyone have a family and above all a mother that can make a nation full of feelings and responsibility and strive for wisdom and knowledge. What all we speak and write or delivers are our heart and soul to the world or the loved ones or the ones or groups so let it go out to people with very good of manners and behavior and attitude. So before worrying about anything outer or even health be so much worry about the heart and soul because you can hide all but you can never hide what you have right in your heart. Today or tomorrow you have to flood the surroundings with the words you never spoken or said. so All you need to worry about the world right in your heart. They day you conquer the inner outer will be not more than a step ahead. Keep remember all mothers and parent in prayers and stay tight with your sister and brothers and siblings and be human as you are part of humankind and humankind should and must have humanity. Humanity is the above relationships and races and colors and religion.